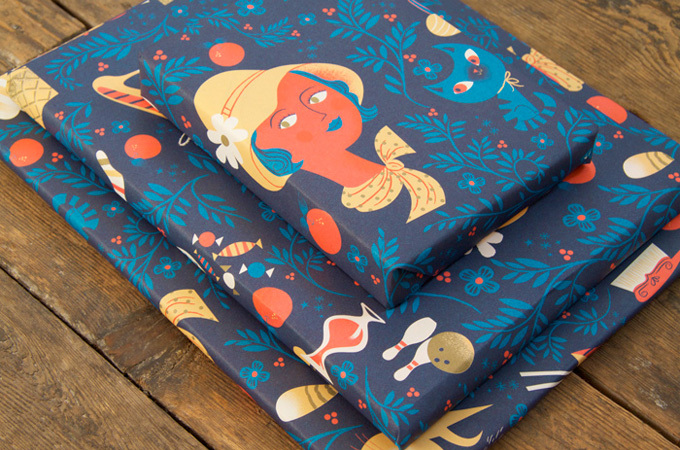 We designed this wrapping paper for UK publisher Nobrow. 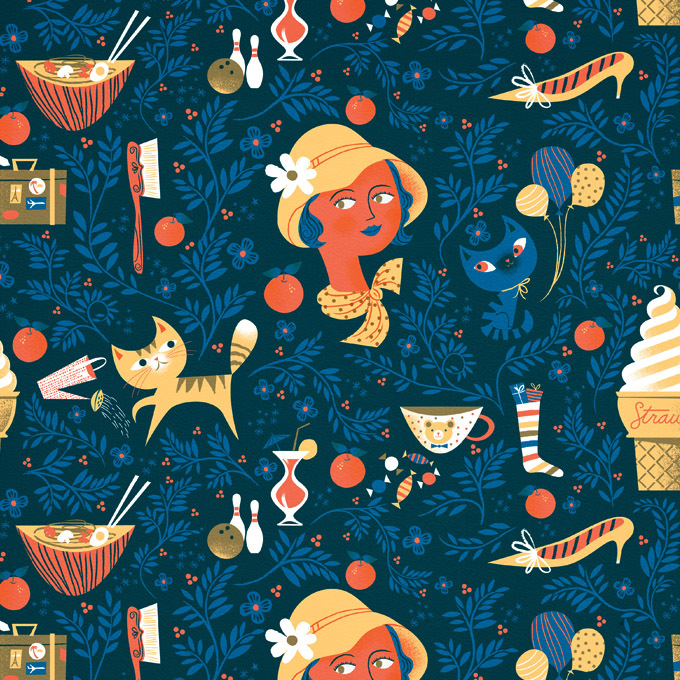 They stuck us with the tough task of illustrating a collection of a few of our favorite things, which naturally include: Gardening, cats and ramen noodles. Available for purchase here.